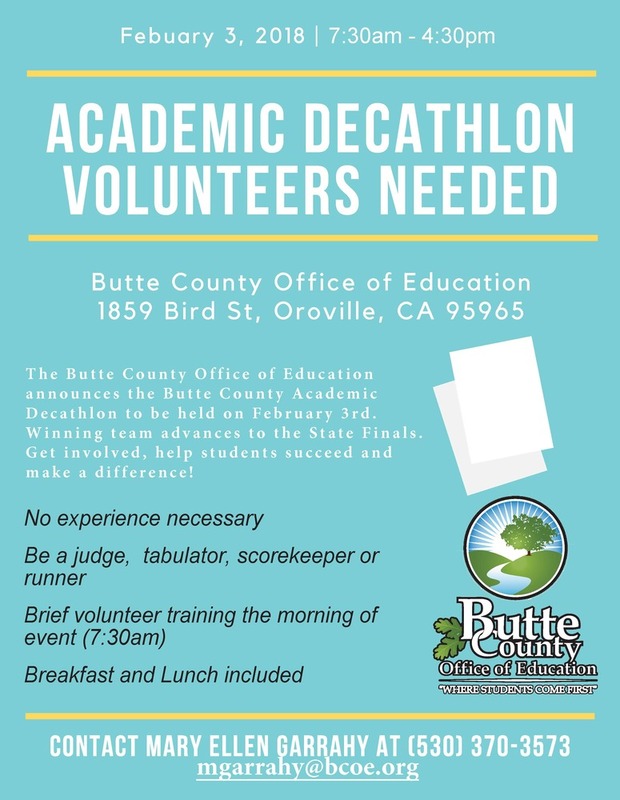 Volunteers Needed to Help Support Academic Decathlon! Decathlon to be held on February 3rd. Winning team advances to the State Finals. Get involved, help students succeed and make a difference! Contact Mary Ellen Garrahy to volunteer!